GOING, GOING, GONE: Apartment blocks and parks will replace the former Geelong Saleyards. Low-rise apartment blocks and parks will replace Geelong Saleyards after council earmarked the site for residential development on Tuesday night. Council voted to designate the site on Weddell Rd, Geelong West, for medium density housing and open spaces . Council officers recommended against industrial development due to an aged care facility nearby. They also recommended against large scale shopping, which would conflict with City Hall’s strategy to avoid retail development outside of central Geelong. 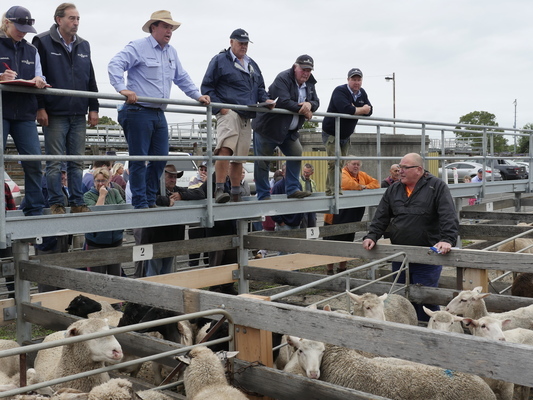 The decision follows council lodging a permit to dismantle the saleyards at an estimated cost of between $100,000 and $1 million. City Hall is working on a precinct plan for the site, which it will release for community consolation later this year. The precinct plan includes land adjoining the saleyards owned by Target and vacant land behind the Sphinx Hotel. Council would need to remedy soil contamination before making the land available for new use, according to its recent environmental assessment. Council decided to close the saleyards in August 2017 and poultry sales at the site finished last month. A private operator has a lease with Geelong’s council on part of the site and runs a farm supplies business. Council had notified all relevant landowners and occupiers of the plans, and held meetings with those who wished to discuss them further, a City Hall spokesperson said. Council was working on options to move a truckwash facility to a new location, they said. Council’s heritage portfolio holder Jim Mason said the plans should recognise the saleyard’s historical significance to Geelong “wherever possible”.